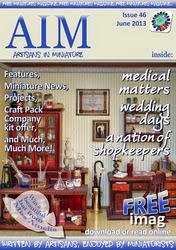 Miniature Maven Diaries: The new issue of AIM magazine is here! I've been waiting for ages for this issue :) Can't wait to read it, how about you? It's free to download, print or read online.